1 library books | This Blog Rules | Why go elsewhere? Think your local library doesn’t have any completely ridiculous books? Think again. As Buzzfeed and Virgin Mobile demonstrate, your library has plenty of ridiculous books. That’s one small step for a cat. 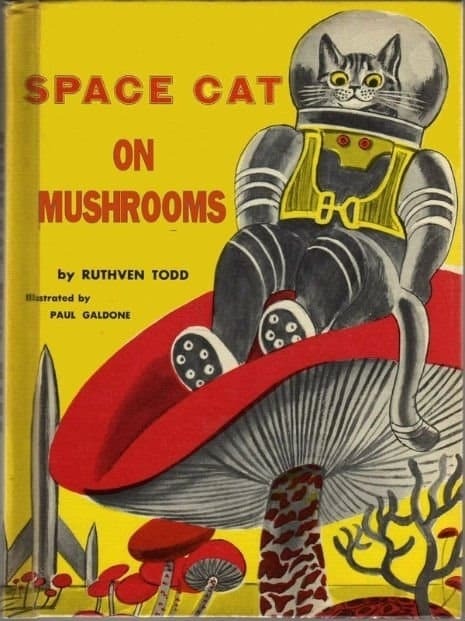 One giant leap for shroom-filled cats all over the land. You can see a list of 22 absurd library books over at Buzzfeed.